Packing is not an easy task as most Fredericton long distance moving companies make it appear. It takes plenty of hard work and strategy to have all the items safely put away. If you are not an expert packer and you want to go the do it yourself way, you will require helping hands in abundance. There are some tips herein from movers who have been in the trade for an extended period. The first two questions that you need to have in mind is when and where do I start? Most people assume that packing will take a few hours tops, but they are wrong. It is estimated that the average time it takes to pack an average 3 bedroomed house is from three to four days. This period is applicable where there are no delays or interruptions of any kind, and all the necessary packaging gear is available. Starting with rooms that are not being actively used is recommended to avoid disrupting the day to day activities of the occupants of the house. Something that you should have at the back of your mind is to ensure that the kitchen is scheduled in sooner rather than later. After knowing when and where it is essential to know how to handle the various tasks involved in the process. Packing from different spaces in the house can lead to a lot of disorganization. It is ideal that you spare space in each room to use as the packing area. If possible set aside an entire room to hold all the gear and materials to be used to pack. Make sure that necessary info of the contents of the boxes is clearly outlined on the outside of the box; preferably on both sides. The contents, room it belongs to, fragility, and which side needs to be up are among some of the details that should not be left out. 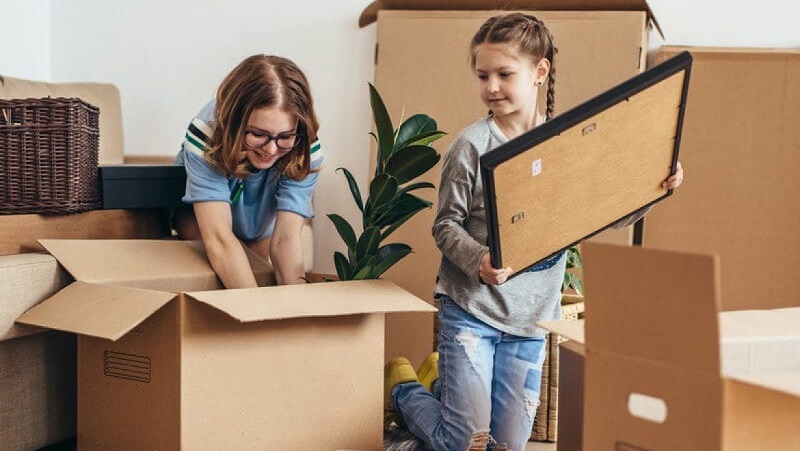 It is prudent for you to resist the temptation of using low-quality boxes if you intend to reduce the risk of getting your property damaged during the relocation. Purchase boxes that are designed to handle relocating. Sort out your belongings and decide which ones you will move with. Those that will not be coming with you can be donated, sold, or tossed. Coming across items that spark memories is common,but you should not let them eat up your time. If you need to look back at the good old times, do it during unpacking. Certain items are necessary and are required to be with you the entire time. They are mostly personal items such as toiletries, toothbrush, and a change of clothes. This should not go to the moving truck. Have your personal tool kit to help with setup. Going room by room is efficient when you are to move as soon as possible. This way you can work to ensure that all the items per room are packaged. Set a weight limit for each box. Preferably 50lbs. Most Fredericton long distance moving companies offer packing services, and they have the necessary resources to make this happen. It is up to you to decide whether to DIY or contract expert hands to help you. We recommend you to read “Applications To Sell Items At When Moving” and “Ways to Stay in Touch after Relocating Far Away”.